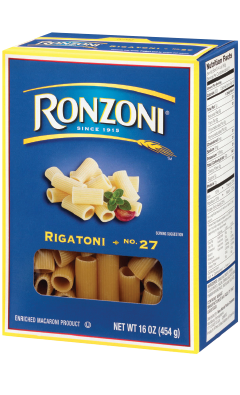 Rigatoni is large ribbed tubes about 1-1/2-inches long. This chunky pasta is frequently used in oven baked dishes, but it can also be used in pasta "tosses" and salads. 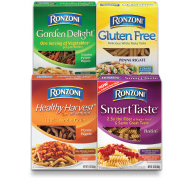 Hearty, rich sauces, either creamy or tomato-based, complement Rigatoni. Rich meat sauces are often paired with Rigatoni.